Peaceful setting on approx 3.3 acres close to town! This 3 bedroom (1 bedroom nonconforming) 1 bathroom home has so much to offer! Newer metal roof, shared pond, new exterior siding and guttering, and new front and back storm doors to name a few! Large new back deck that walks into the dining room area and connected to laundry room. Custom cabinetry in kitchen with breakfast bar. Beautiful rustic ceilings throughout. Living room features wood burning stove that can heat the whole house in the winter. 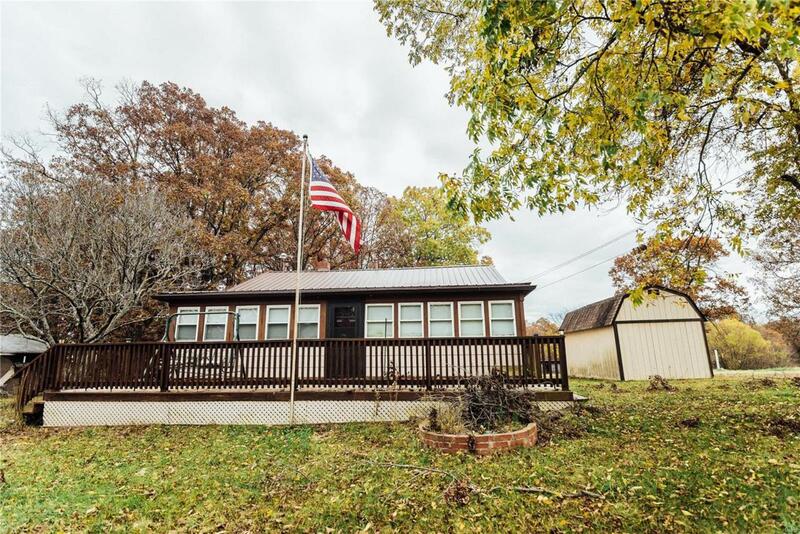 Property is close to Meramec River, Resorts, & Entertainment. Additional property features include TWO outbuildings and a greenhouse! Call today to schedule your private tour. Home to be sold as-is.